If men are scared of colour, pattern and real trousers then they are terrified of perfume. If they sometimes turn to fashion brands for reassurance in their clothing, they do so constantly with fragrance. It is much-misunderstood and misused. Below is my brief guide to buying it and wearing it. Once you spend more than around £80 on 50ml of a perfume, the creator has had free range of the vast majority of the world’s ingredients. This is of course a lot of money, and there is nothing wrong with cheaper ingredients (the simple citrus-and-herb colognes). But the only objective thing to measure in the quality of a perfume is its ingredients, and above this price you’re on safe ground. Eau de Cologne, de Toilette and de Parfum indicate different strengths of perfume (3-8%, 8-10%, 15-20%). 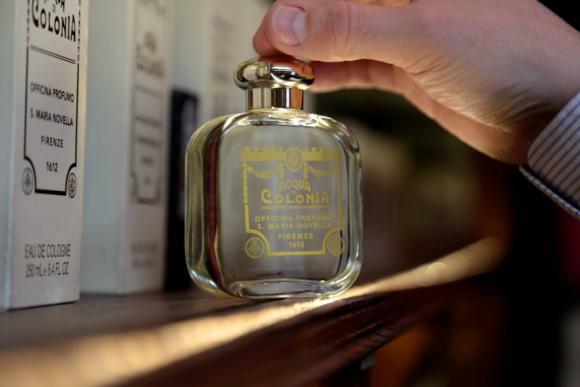 Cologne was made for a time when men changed three times a day and reapplied three times. You need EdT at a minimum and preferably EdP. Extrait de Parfum, one step up, is also becoming popular. Wear more. Most men have one spritz on the chest or neck, and that’s it. Go for two or three – you should be able to smell it for up to an hour afterwards, and everyone else when they come close for most of the rest of the day. Go for pulse points (neck, wrist) and, particularly in the winter, the chest. Stronger, wintry scents will come through the cloth of a shirt where citrus ones will not. Apply lighter scents to the base of the neck or edges of the hair. And never on your face. This is not an aftershave and it’s not the 1980s. There’s nothing wrong with having more than one perfume. A perfume should suit your mood, your day and the weather – just like your clothes. Over the years you will probably build up a collection of 3 to 5. One or two that are definitely autumn/winter fragrances, the same summery and perhaps one in between. It should be pretty instinctive which are which: lighter, citrus scents for the sun, heavier and spicier ones for the evening and winter. 1. Fragrance is a journey of discovery. You’re not going to walk into Liberty’s, try 7 or 8 scents and select the one you will wear for the rest of your life. Get a couple of samples if you can, and wear it for up to a week, in the right conditions. 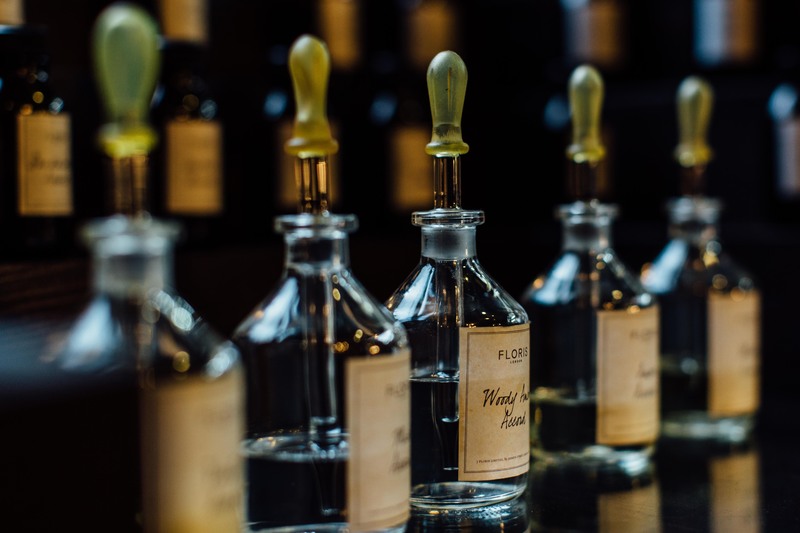 It may take a year or more to feel you know the scents well, but this should be a pleasurable journey, like getting to know wines or whiskies. 2. Remember your preferences will also change over time. Sense of smell drops off from the age of 20, so you will prefer stronger scents as you get older; and as with drink, you will come to prefer bitter over sweet. 3. 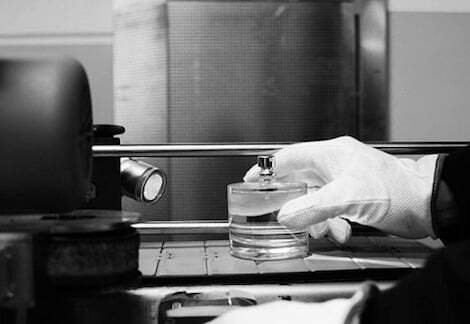 When people rate fragrances, they are largely going on the complication and balance of the ingredients. 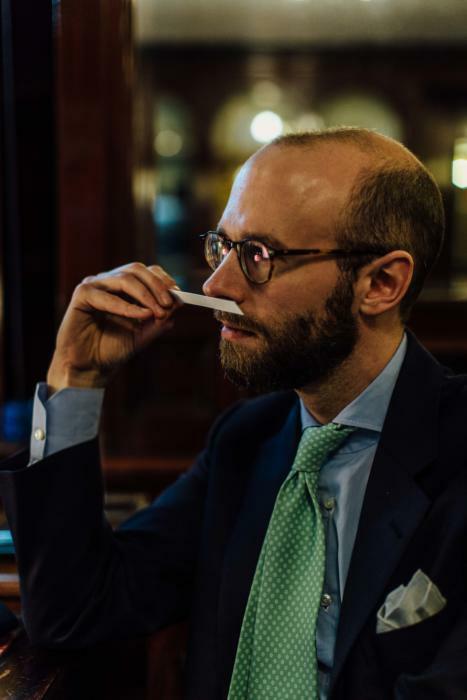 There is something to analyse here – it is not entirely subjective – but scents also suit different people: their skin, their clothes, their style. So take any ratings of perfumes with a pinch of salt. Try everything and make up your own mind. 4. Making up your mind, of course, is the hard bit. Some critics and perfumers say that fragrance is polarising: your reaction to it will be either very good or very bad. I’ve never found that. With at least half of the ones I try, I’m in the middle. They also say you will see the reaction in others: compliments from women, awkward questions from men. I haven’t found that either. And personal analysis of what suits my skin I find unsatisfactory. But then, even though I’ve been wearing and experimenting with fragrance for 15 years, I am at the beginning of my journey. And I’m enjoying it. You can follow the discussion on How to buy quality perfume by entering your email address in the box below. You will then receive an email every time a new comment is added. These will also contain a link to a page where you can stop the alerts, and remove all of your related data from the site. Good primer. I’m a massive fan of fragrances and love discovering new ones. I love how complex and intoxicating some can be, bringing back memories and creating images in your head. My favorites so far (and there have only been two that I’ve really, truly fallen in love with) are Terre d’Hermes and Floris JF. I’d like to own some of the Acqua di Parma ones but the longevity isn’t there. I tried Creed’s Vetiver which you once recommended and wasn’t impressed. In fact, the only Creed which sits well with me is Green Irish Tweed. To each their own. It’s worth also mentioning to err on the side of underapplication to overapplication. Much better to be only smelt within a foot or so to being smelt by people on the other side of the room you’re in. Some men make this mistake (including me in younger days) and it is not good. Thanks. Yes the recommendation on application depends on what you think ‘most’ people do. In my experience most people use too little – unless they’re going out and then they use far too much. Thanks for that. Trumpers and Penhaligons tend to use a lot of molecular rather than natural ingredients, hence the price. I like the combinations, but that does limit them somewhat. Hi Simon, do you have an opinion on the Tom Ford private blends, or are they overpriced due to the marketing? There is a definite margin in there, as with all Tom Ford things. But no more than another designer label, and the fragrances are better than the vast majority of other big brands. Tom was always a big perfume fan, even while at Gucci, and he always used to wear Caron pour Homme, that great classic lavender scent. I always come back to Guerlain Vetiver, Acqua di Parma Colonia, and Chanel Pour Homme. I have recently been wearing Guerlain Homme Boisse, which is a nice light scent for warmer weather. Unique content, as usual, superbly presented. Nice post – looking forward to more. I agree with the first post that under application is better than over application. I think this is especially the case in many work environments where it’s bad taste to have strong smelling fragrances noticeable past one or two feet. Personally, my use of fragrance is for myself and my wife to enjoy. I like the effect it carries as an enhancement to intimacy versus something meant to draw the attention of others. I imagine this may reflect my interest in being (and staying) married versus the intention of someone who wants to flirt or impress. Perhaps you could elaborate on the use of molecular versus natural ingredients in various brands. I would like to learn more about this topic. Thank you! It’s also worth mentioning that an individual’s body chemistry has a lot to do with how a fragrance will react and smell. One woman I know can only wear one kind, can’t remember the name, as all other types of perfume smell like vomit on her skin (her words). This may be extreme but I have a hard time understanding how something as individual and particular a scent is would allow someone to buy fragrances online without any chance to try it first. Nice intro to scents post. My wife is deeply into fragrances and much like the complexities in mixing patterns in menswear, she mixes her gigantic collection of bottles. This ends up beautifully, but she risks falling flat just as often – something men could learn to do more frequently. Over the years, via gifts and lately of my own choosing, I have my own “little” collection of ~15 fragrances that have fallen into a nice circulation. As dashing as a well cut suit and brilliant tie may be, women seem to notice my scents just as much. I was jogging one day and a guy in a drop top whizzed past me in the opposite direction; the air was redolent with his cologne for a few metres after passing each other. Too much! I have never come across an Eau de Parfum for men – probably because I’m not looking in the right places (I’m in Australia and everything is just a little bit harder to come by in our corner of the world). Are there any particular brands you could point me toward that sell EdP? If this will be covered in your post next week I’ll eagerly await that post. What is your opinion about Terre d Hermes? Could you define “commercial”? Do you mean that it lacks complexity and personality? What do you think of Guerlain Vetiver? Can you really detect cheap (=synthetic?) ingredients? Without being a “nose”, that is. Can anyone tell me if Shanghai Lily from Tom Ford is a unisex perfume/cologne???? Some say it is. Some say it’s not. Hard to get an answer. Thanks!!! Hermes suggests men not apply scents to wrists, but instead apply to one’s biceps–which when one thinks about it makes sense, due to the constant flexing throughout the day, thus enhancing the expression of the scent, right? Your advice on how much to wear is interesting. There was a time that having a “signature scent” that stayed with you through the day was certainly de rigueur but I’ve always gone by the rule that only a person close enough to kiss you should be able to smell the scent you’re wearing. Guerlain Vetiver is great and Knize Ten, whilst not for everybody, brought a smile to my face the first time I tried it. Spending a bit more opens up so many scents which really can lift spirits. I love Rose nacrée du désert by Guerlain. It is expensive @ £220, however, if you fall in love with a scent, it is worth every penny. This Persian rose is wonderfully seductive as is the oud, which does not overpower as many can. it is woody floral, rare which appeals to me, I do not smell it around very often on others. 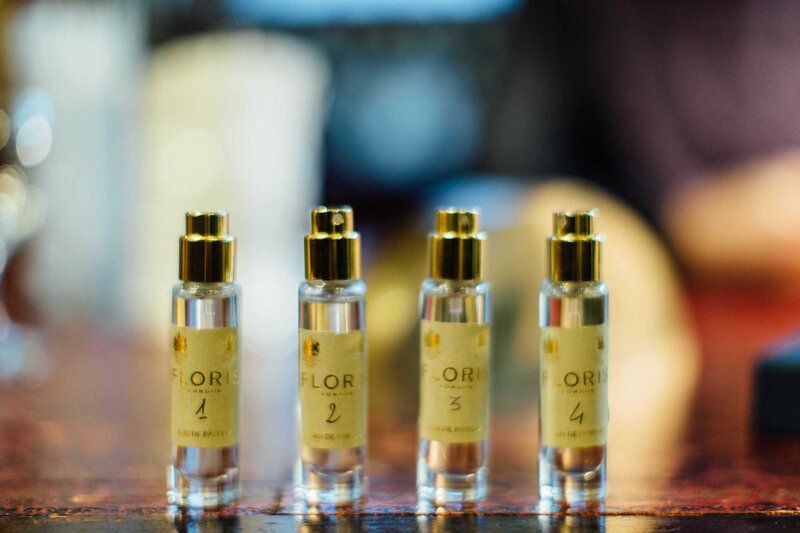 Top notes of: saffron Persian rose and patchouli. Heart notes of: cardamom, curcuma, cedar wood with an oud accord. The base notes aremyrrh and benzoin. It is both subtle and volutuous, and last the entire day. You can also still smell it on clothing, in the wash basket. Nazis so they will do for you. Fashion brands like Tom Ford will have you smelling like a NYC taxi.